The Lead Genie is available to all businesses who want to promote themselves or their products with maximum effectiveness. The Lead Genie works either within a company or as a consultant, offering best practice and advice in the generation of leads and marketing. 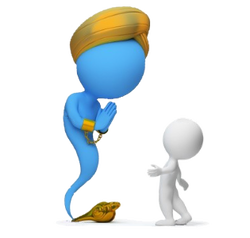 The Lead Genie will work on company sales or marketing systems, with your sales or customer service teams. We do not do the marketing - we help make it easier for you.